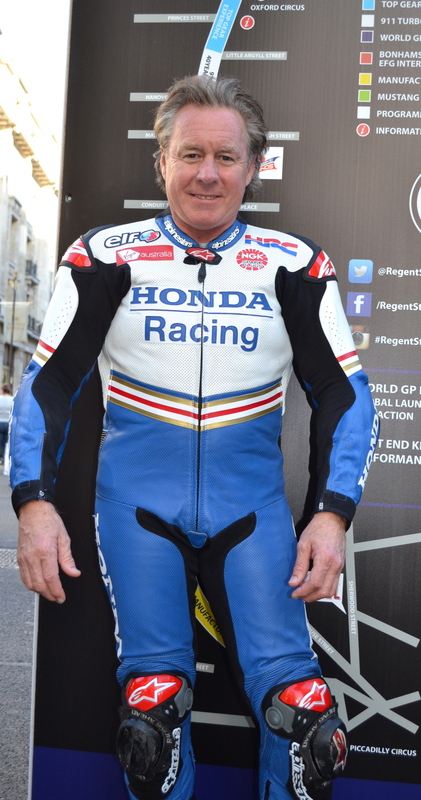 The Regent Street Motor Show on the 1st November was chosen to promote the big race next year in Jerez 19-21st June that will feature bikes that raced for two decades and the heroes that rode them. 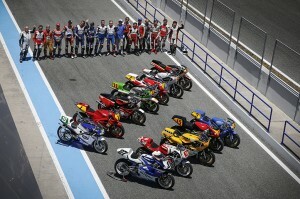 Freddie Spencer, Wayne Gardner, Christian Sarron and Didier de Radiguès came out to play with their original equipment. World Champions were part of the Regent Street event to announce the creation of the major new European classic and racing motorcycle festival which will see grand prix motorcycles dating from 1980 to 2000 in 125cc, 250cc and 500cc classes racing against each other once more – many piloted by the legends of the period. Next year’s event has no doubt been inspired by hugely popular classic race meetings such as the Silverstone Classic and the Revival and Festival at Goodwood. 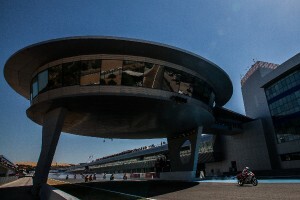 Taking place in Jerez the weekend will offer bike racing fans young and old an opportunity to admire these amazing machines on track and racing flat-out, piloted by the brave men who tried to tame them back in the day.